We got up to a snowy day on Saturday…wasn’t supposed to be but “surprise”! It was snowing and blowing on and off all day. Did I mention it was darn cold a well? This street is one over from Lake Nipissing…couldn’t get to the public access anymore as the snowbanks are too high! This coming week is supposed to get colder again! 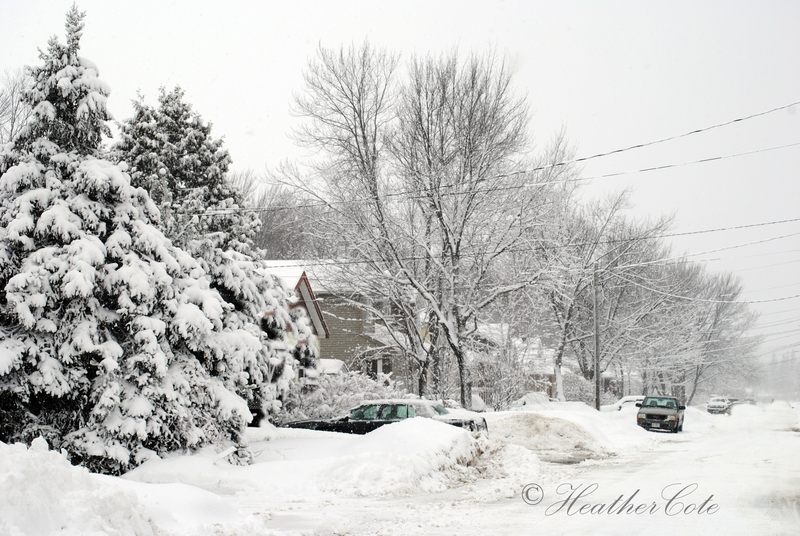 Both these photos are color but with the blowing snow they almost look B & W.
This entry was posted on February 23, 2014 by Heather. 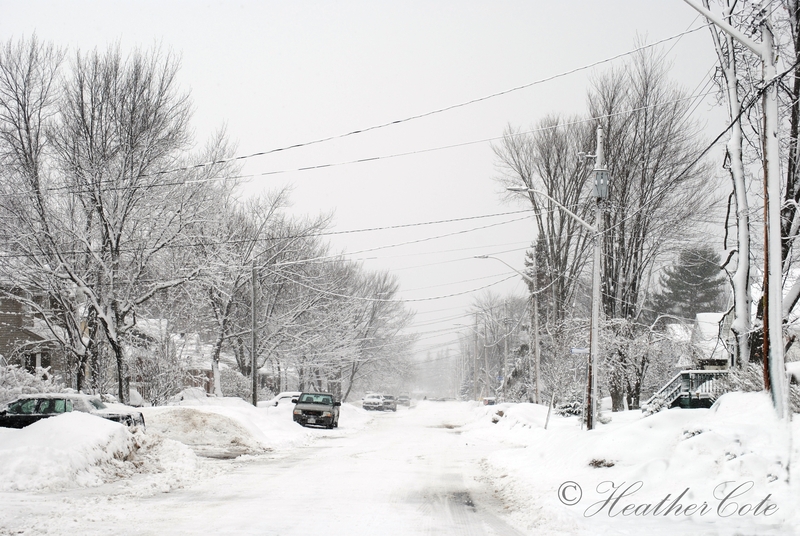 It was filed under north bay and was tagged with blowing, cloudy, cold, gloomy, Heather Cote Photography, nature, North Bay, snow, windy. lol…luckily we had a bit of a melt last week before the snow on Saturday! Wow! That is A LOT of snow!!!!! lol…and we had a bit of a melt last week before the snow on Saturday! hmmmmm…while the sun is beautiful, I’d rather have warm and grey…I’m not a huge fan of the cold! darn, we can’t have everything can we? Selfishly i prefer sun and warnth.. I feel the first touches of winter over here, not long now. lol…well if we are going to get selfish…I also prefer sun and warmth!!! 🙂 I don’t feel the first touches of spring here yet…it feels like a long way to go yet! They do look like B&W! And they’re great shots, Heather! Stay warm!